Herbal tinctures are a convenient and effective way to treat inflamed and/or infected gums and mouth ulcers. 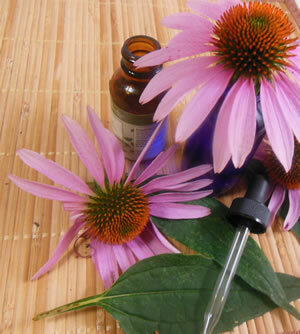 Combine echinacea with antiviral and anti-inflammatory compounds such as calendula, goldenseal, and myrrh. Recipe Instructions: Tincture : Apply a few drops of a combined tincture of these herbs to the affected areas up to three times daily.